When do you need to worry about roofing? Oftentimes, a roof is hardly ever considered until there is a problem like water seeping through the ceiling. This is particularly true with roofs of commercial buildings, where parapet walls and flat roofs truly put roofing concerns out of sight and (thus) out of mind. At Hart & Sons we know how convenient it to be to simply disregard a small roofing problem. The fact is that the longer you put off addressing it the worse the problem generally becomes, and can lead to significant damage if you aren’t careful. Regularly scheduled inspections can help you detect minor issues and deal with them before they cause serious problems. Our expert technicians can perform a detailed assessment. If you need roof repairs, roof replacement or a new roof, we want to be your go-to roofing contractor for all commercial roofing jobs. If you’re looking into commercial roofing there is good news and bad news. First, the good: These days there’s an astonishing range of commercial roofing materials and techniques available, providing building owners with excellent options for commercial roof replacement, reroofing and new roof installation. 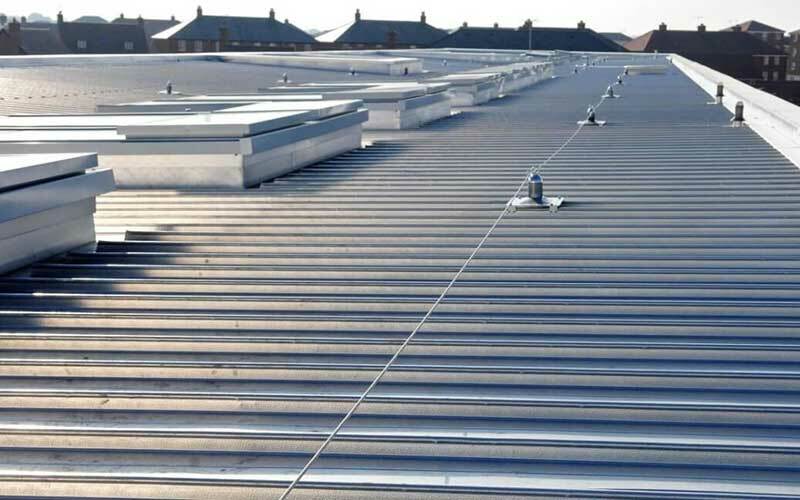 The bad news is that with all the commercial roofing options that are readily available, settling on the most suitable roofing system for your building has become considerably more difficult. All assorted roofing types with abbreviations such as SPF. TPO, EPDM, etc. can add to the confusion. If you are not sure of the type of commercial roofing that you require, there is no need to be concerned, we are here to help out. Hart & Sons will help you settle on a roofing or reroofing treatment that is best for your budget and your building. Metal roofing is offered in prefabricated panels, but also has the capability to be cut and formed on location. When installed on a sloped roof, metal roofing provides the benefits of energy savings (lower heat gain during warm, sunny weather) and low maintenance. SPF (Spray Polyurethane Foam) roofing is best suited to low-slope and flat roofs, and quite a popular solution for both applications. Applied with spray equipment, an SPF roof provides a seamless roof coating that can go over an existing roof or over new construction. 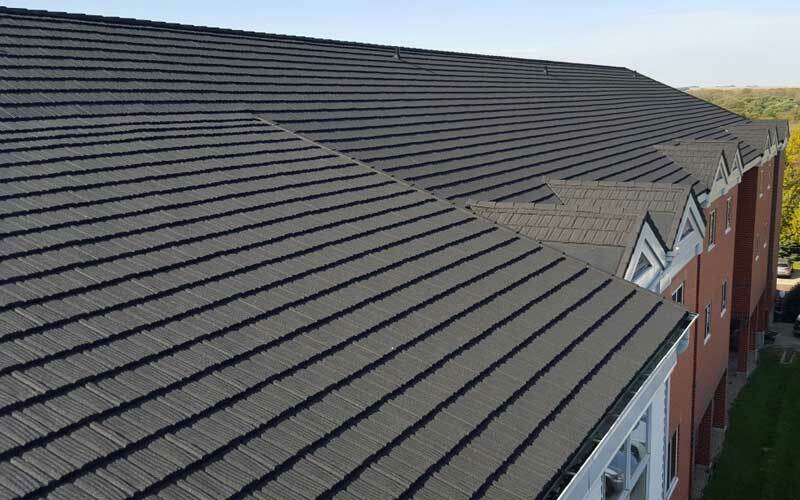 SPF roofing is widely used because it minimizes the need for most types of roof flashing and it also functions as roof insulation, lowering the building’s heating and cooling charges. EPDM roofing is sometimes identified as rubber roofing because this roofing membrane product is flexible and black and resembles a rubber inner tube. 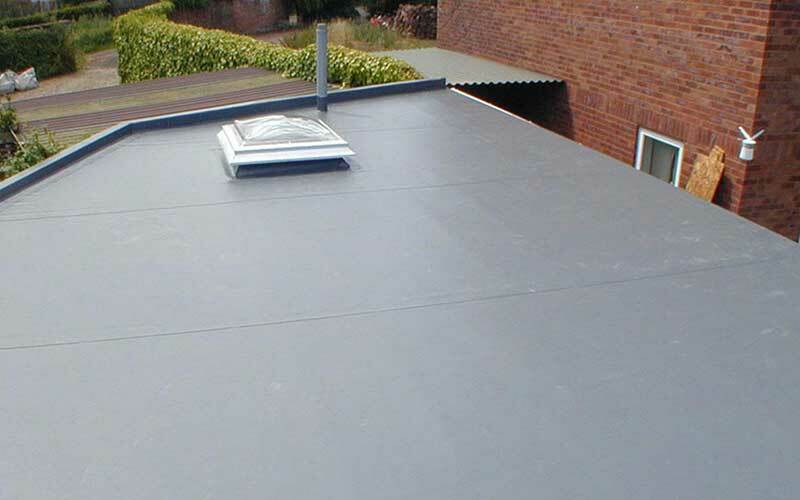 EPDM is a ideal solution for both low-slope and flat roofs. Seams connecting adjoining EPDM sheets and metal flashing elements tend to be sealed with special adhesive. EPDM roofing provides superior durability and versatility, making it one of the longest lasting types of commercial roofs available. EPDM commercial roofing systems are also typically easier to install, repair and maintain than virtually all other types of commercial roofs. TPO (Thermoplastic Polyolefin) is a lot like EPMD roofing in the fact that it is a single-membrane roofing system. Applied in large rolls, TPO can be installed with mechanical fasteners or by sealing seams with heat. Of all the available commercial roofing systems, TPO continues to grow in popularity. 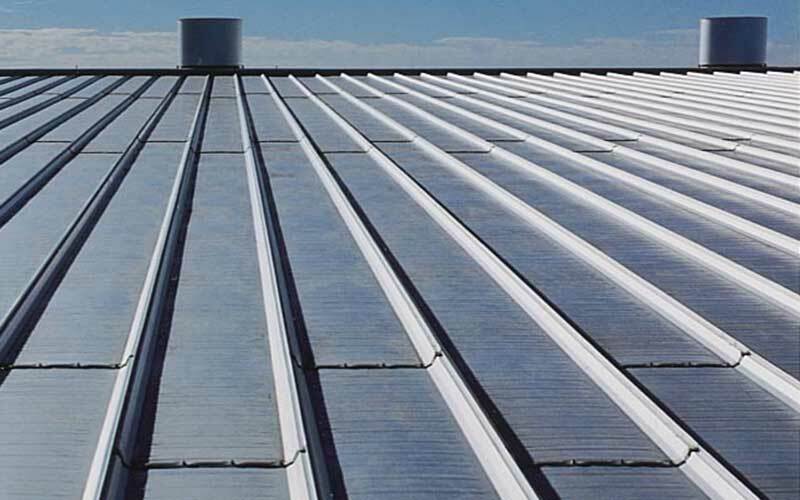 Made of an especially durable material with a high-temperature tolerance and low-temperature flexibility, these roofs are exceptionally resistant to ultraviolet, ozone and chemical exposure. The white TPO material used most frequently does a good job of reflecting sunlight, which helps to minimize the need for air conditioning in the summer months. TPO roofing have a high resistance to fire, chemicals, and punctures. The also can withstand high winds. This is why this durable system has a life expectancy of over 20 years. Modified bitumen roofing is much like other systems in that it is applied in rolls and then heated to adhere to the surface and seal seems. 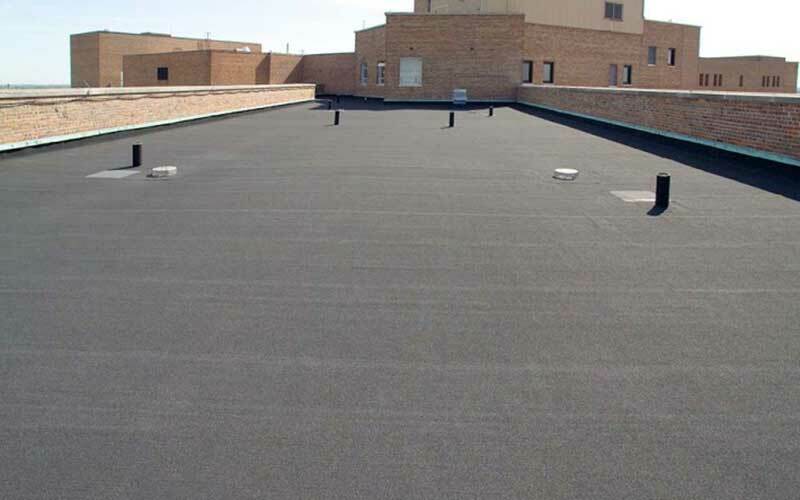 Due to the fact that other single-membrane systems such as EPDM and TPO have become considerably more popular, modified bitumen roofing is not used anywhere near as much as it used to be. Asphalt shingle roofing will always be popular. Many commercial buildings with sloped roofs depend on asphalt shingles to protect them from the elements. Of all the roofing choices available, asphalt shingles are one of the most affordable. Despite the lower price, building owners still have many options of colors and styles to choose from. The expert roofers at Hart & Sons are trained and certified to handle numerous kinds of commercial roofing systems in Maplewood and the surrounding area. From roof replacement to roof repair, we can handle all your commercial roofing needs. We ensure that your commercial property is protected. If you are in need of commercial roof repair, replacement or new roof installation, Call us at (973) 761-7676 or send us an email to arrange an appointment today!